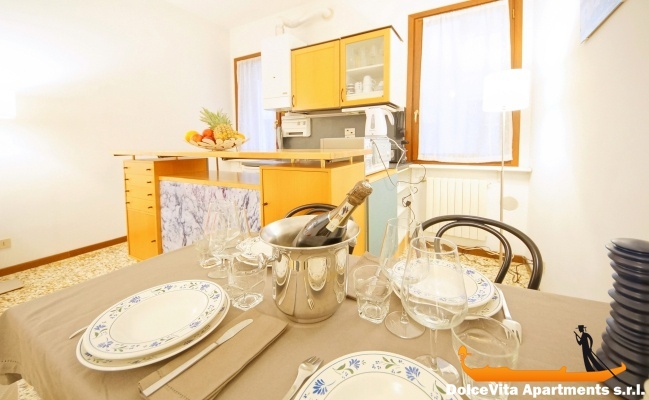 Apartment N. 164: It can accommodate up to 4 people, it is rented from 63 € per Night (not per person). 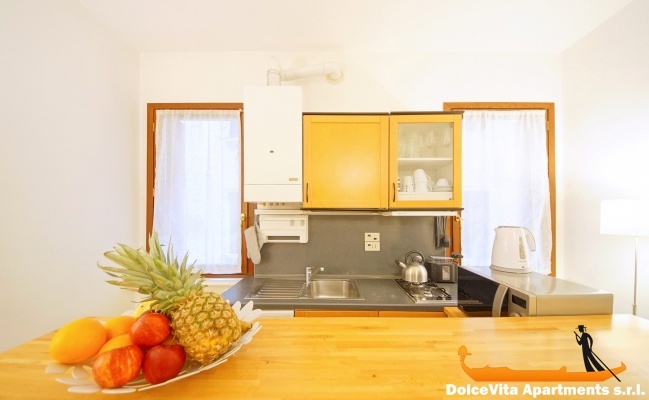 Modern Venice Apartment near Rialto Bridge: Comfortable apartment of 55 square meters, it is located in the historic center of Venice, in the Castello district less than a five minute walk from the Rialto Bridge. It is located on the first floor, it can accommodate up to four people, there are a bedroom and a bathroom, as well as the living area. The bathroom has both a bath and shower. 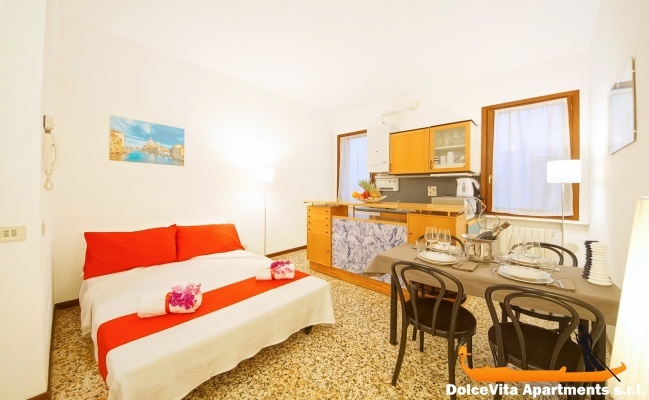 The apartment has a well equipped kitchen and comes with sheets, blankets and towels. The 20 meg ADSL WiFi and air conditioning are included in the final price. 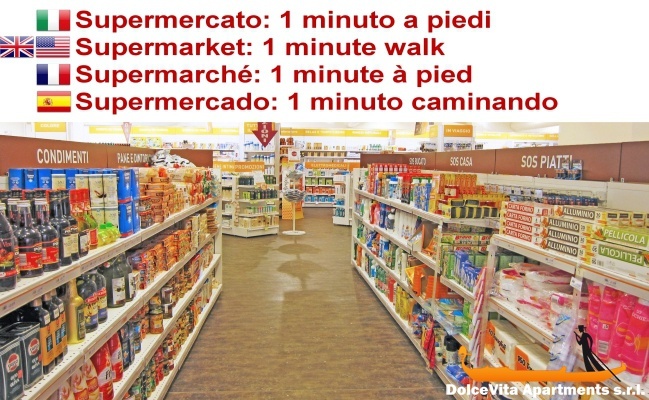 Under the house without crossing any bridge you will find: supermarket, newsagent, bar, restaurant, pastry shop and a bank. 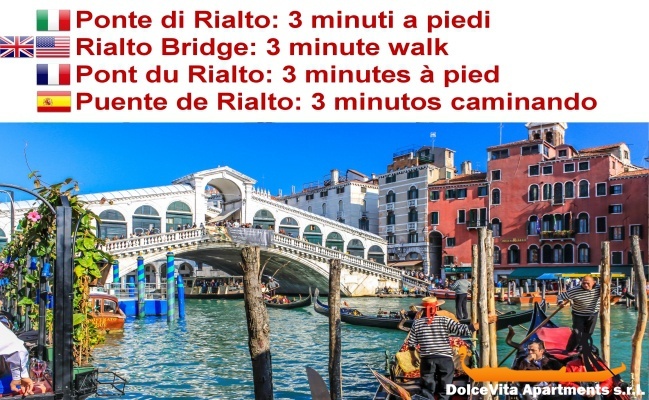 The location is a perfect spot between the very active zones of Rialto and San Marco areas. Campo Santa Marina is a welcoming and quiet place with a true neighborhood quality with children, dogs, local residents around throughout the day and evenings. Grocery store just steps away, excellent cafe/patisserie shop on the campo, Osteria Santa Marina is definitely a destination restaurant. 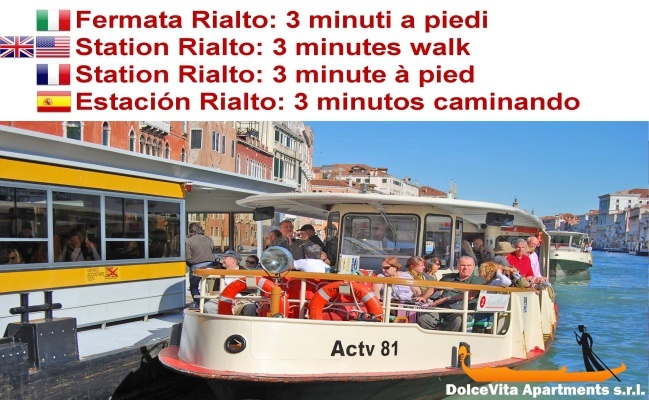 All those factors make it a perfect location for both visiting Venice and seeing local life. The apartment was very clean and the extra linens provided were sufficient for our 2 week stay. The bed was very comfortable. Great place, well located, super clean, with everything you need. Francesca is the nicest girl ever. 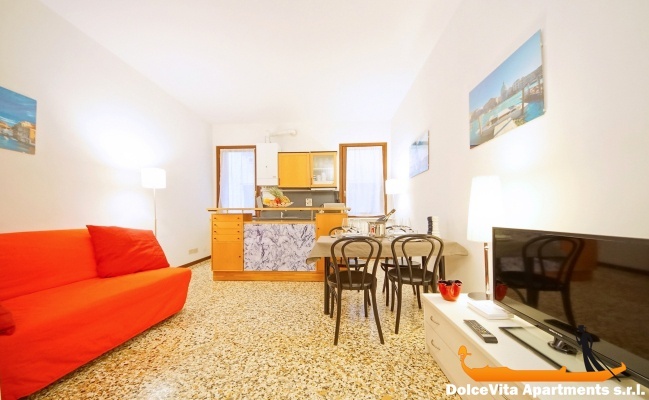 We are very satisfied with apartment 164, well appointed and very well located near the most beautiful sites! Nothing to say about the service, Elisa was very friendly to wait until 19:00 because we were late due to transport. Pleasant stay, functional apartment, we will return with pleasure! Thank you, see you soon! Great location, on a quiet side behind (and above) the pastry Didovich. Perfectly and abundantly furnished and equipped with everything you could need for a stay of more than 1 week. Price suitable for location and size. The only note is the strange tuning (even changing it) of television channels, many but put in order apparently casual. Perfect service with very friendly welcome, full of explanation and very helpful with the times: we had to meet at 4 pm but we arrived at 2 pm and Miss Elisa arrived in a few minutes. Quiet neighborhood, in a good location. 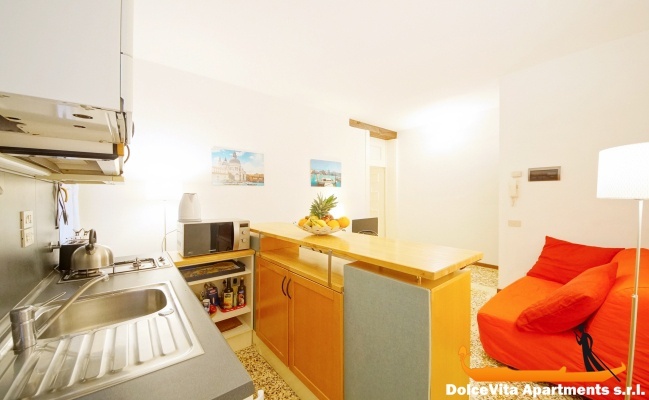 Perfect location, very nice and clean apartment wilh fully equipped kitchen. 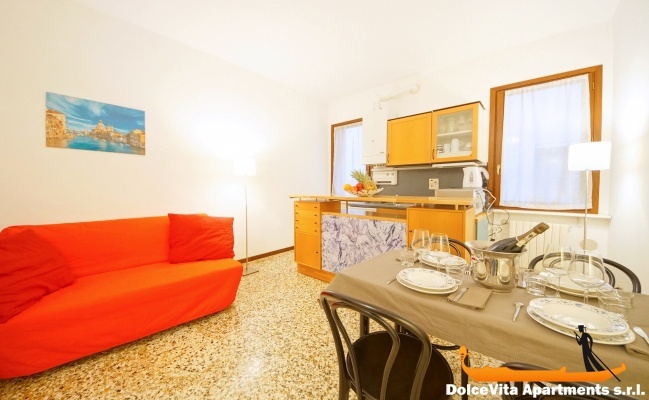 Apartment very nice, well located a few meters from the Rialto Bridge and shops. Very quiet, equipped simply and properly. Good bedding. All exchanges before our departure, by mail or by phone, went very well. 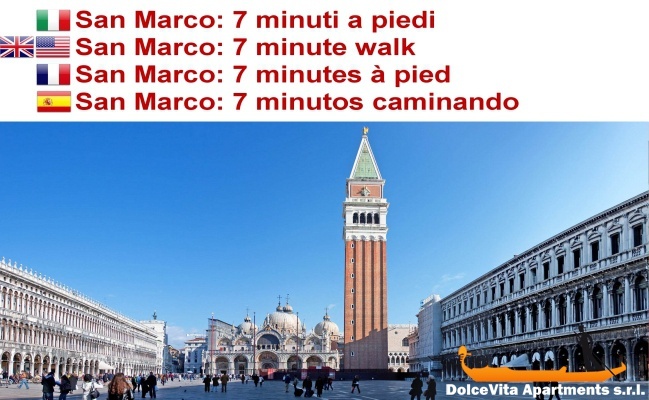 When we arrived in Venice, I called Silvio who arrived to the appointment to accompany us to the apartment. He is very available and you can call him when you need. My girlfriend and I spent 4 wonderful days in Venice, even if the sun was not at the appointment. Venice under the rain it looks nice! I recommend this apartment without problems. Value for money interesting. I come from Venice where I spent a pleasant stay. 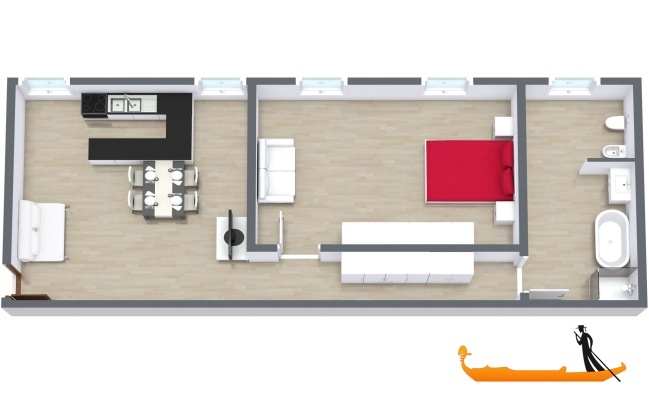 It is well located, easy to access, spacious and bright. We had a great time; the apartment is close to points of interest, spacious, we were in 4 and the beds ...very comfortable. We are really satisfied. Spacious and clean, great location. 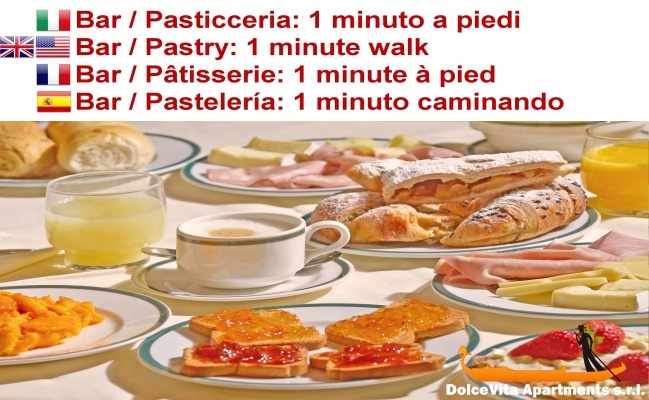 Perfect service, both at the time of booking that on arrival. We were looked after from the point of appointment, agreed before, at the exit of the boat. Spacious, comfortable and clean with the necessary equipment. 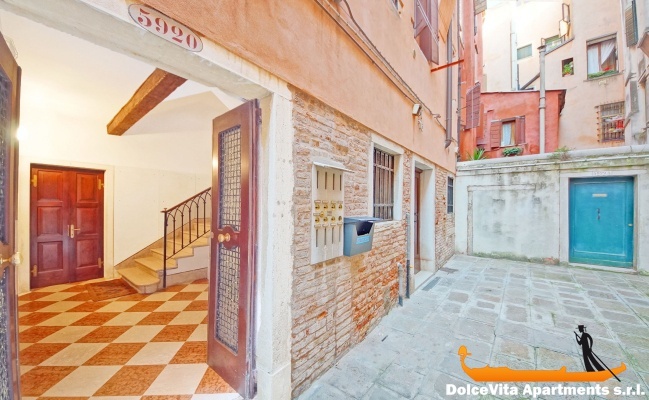 Excellent location: in the historic center of Venice, close to the Rialto bridge, but in a quiet street away from the hustle. We spent a pleasant family holiday. The welcome was friendly, the directions to get to the apartment were clear and precise. 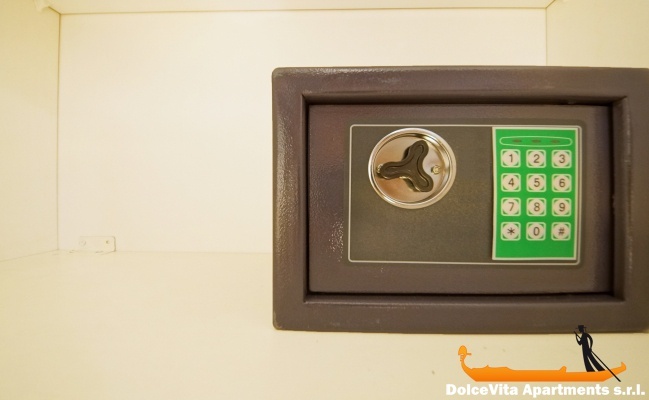 We will willingly use your services on the occasion of another trip to Venice. Nice and quiet apartment. On a splendid location. Is is perfect for two persons. 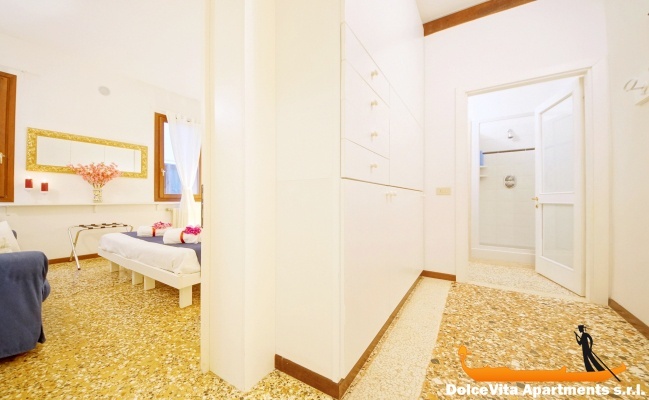 For a next visit to Venice we definitely will book this apartment again. 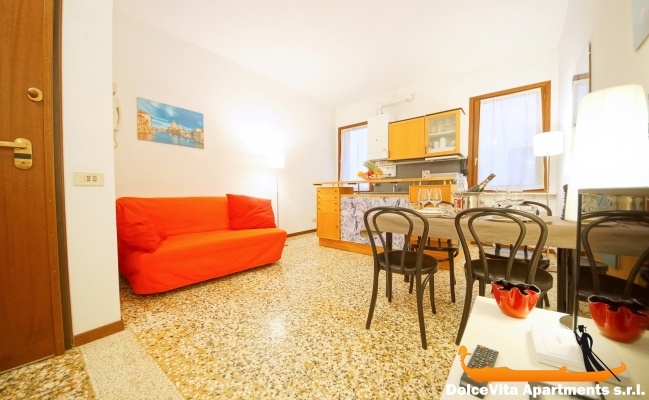 Nice located apartment with almost all necessary facilities needed for a short stay. Very nice, quick reply to my questions. Thank you for staying Venice more memorable for us. Venice is the one place we always dream about. You made it happen for us. Staying in your apartment was a real treat, convenient and spacious. Thank you again and hope we will come back and stay here again. Well located and good service. 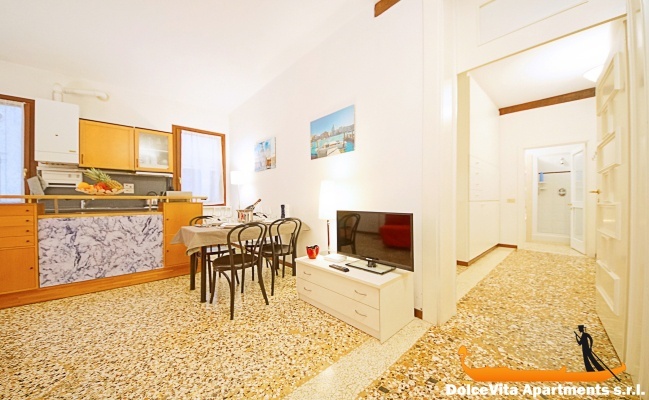 Great location, quiet, new apartment, comfortable and well-equipped. 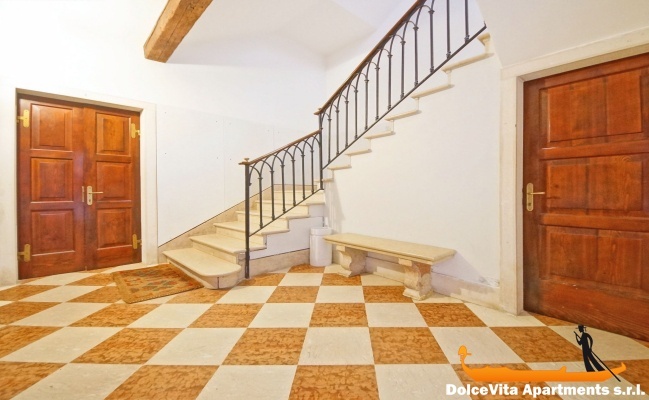 Wonderful location just 5 minutes from Rialto Bridge, but in a quiet area with shops, supermarkets and restaurants in walking distance.